When you join us, you will receive a referral card. Please pass this card on to family and friends. As a local service, your referral means a lot to us, so much so that we’ll give you a £50* off tooth whitening voucher for every friend that joins the practice! 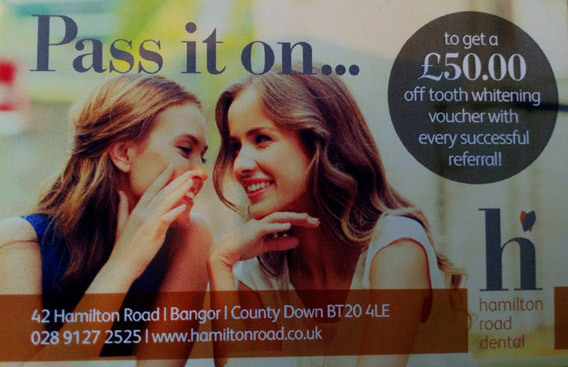 One £50 voucher can be applied to each whitening treatment per person.